The Nigerian Air Force (NAF) says it has recruited 7,000 personnel in three years and vowed to flush out regrouping militants in Lagos and the country as a whole. 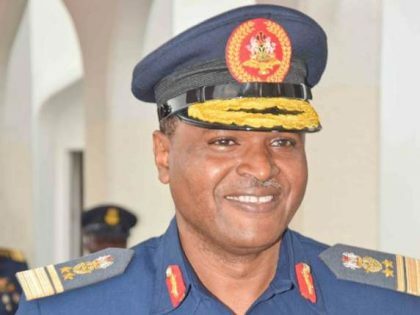 The Chief of Air Staff (CAS), Air Marshal Sadique Abubakar, made the vow while speaking with journalists at the inauguration of some buildings for its personnel at 041 Communications Depot, Shasha in Lagos. The CAS said the force had recruited 7,000 personnel in the last three years, adding that new helicopters and aircraft were also acquired. “Professionalism is not just about equipment and training but most importantly, about the human beings because the human being is the most important resource. The CAS said that the NAF embarked on the massive construction of new accommodation as well as remodeling of old ones to address the infrastructural deficit of the past. “It is quite important to ensure that the living condition of our tireless and hard-working personnel is given high premium. “The project is, therefore, named after the senior officer who passed on while on a rescue mission on an Alpha-Jet aircraft. He also inspected 2 NAF C-130 Hercules aircraft undergoing Periodic Depot Maintenance and Life Extension Programme.